The rear end on my SRT4 would sway when going over bumps and potholes. These bushings fixed that issue right away. I would recommend installing these as well as prothane trailing arm bushings. 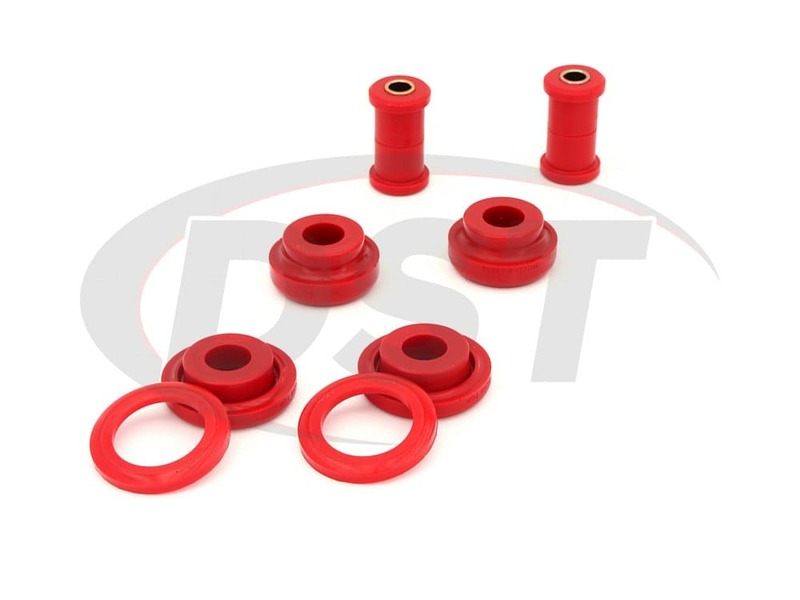 starstarstarstarstar" Quality parts, difficult installation "
When it came time to replace the lower control arm vertical bushings - again - on my 05 PT Cruiser GT I elected to try poly. Good decision. I bought Energy Suspensions 3-piece bushings and Prothane's 2-piece set but I installed the Prothane set. 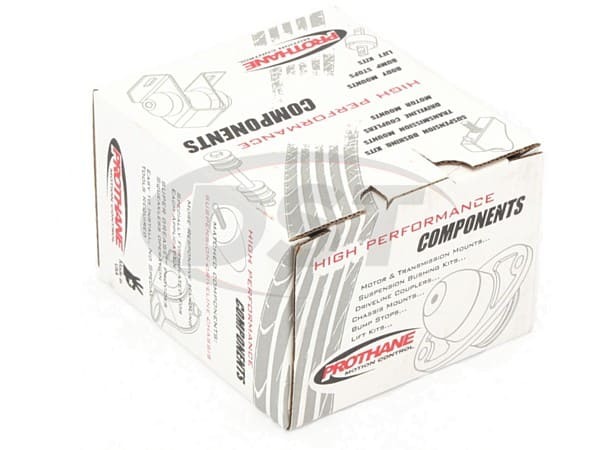 Prothane's 2-piece bushings feel more substantial and are definitely the easier installation. (Tip: don't follow the instructions by pressing out the vertical bushing. Leave the shell in place, just drill out the rubber and clean it up with knives, razor blades, sand paper, etc. It's not that big a job.) Getting the rear bushing into place and the bolt through it as you install the control arm on a Cruiser is not a pleasant experience but it can be done. A strut compressor might ease installation. The problem is that the arm goes back in at an angle but the bolt won't line-up through the rear bushing with the arm at an angle: the poly bushings don't have the give in them the rubber bushings do. The people who say these bushings don't alter the way your car rides don't know what they are talking about. The first time you drive your car you will notice that the steering is precise, and I mean PRECISE - the car will go EXACTLY the direction you point the front wheels, assuming you don't have any other worn-out parts in the front end. No more monkey motion. Point the front wheels "that way" and the car goes "that way" not "that general direction." The ride is like listening to your favorite music on a better system, its the same music but you hear more of the subtleties and nuances. The car will ride mostly the same but feel more solid, more in control, less vague. You feel more of the roads texture. Tip: the installation will be much easier if you remove the brake rotors - less chance you'll cut the ball joint boots. PT Cruiser owners: take this opportunity to replace the ball joint boots. $8 each and they just pry off and press on. starstarstarstarstar_border" Good - but time will tell "
I first had a Chrysler dealer change out the original bushings at 4 years and 16,000 miles. 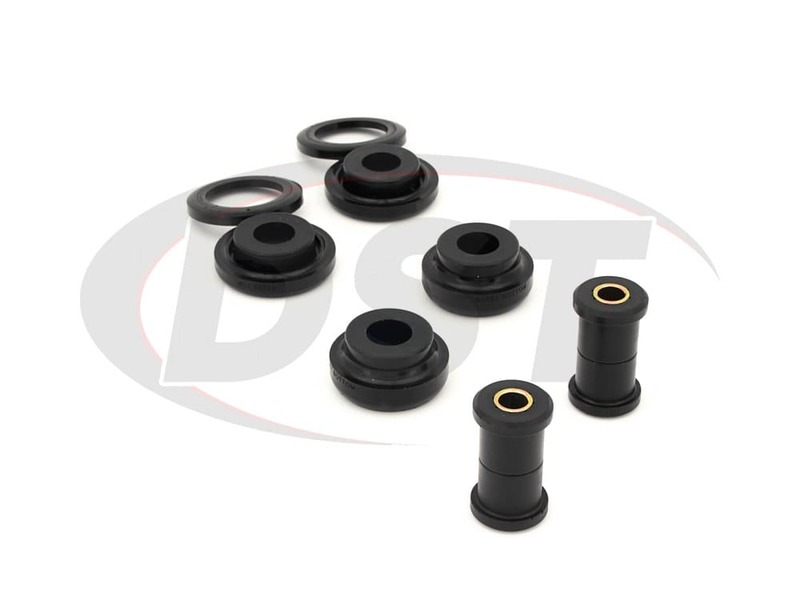 When I was told (during an oil change) that the bushings were bad again at 8 years and 26,000 miles I then had these prothane bushings professionally installed at a different repair facility so I could eliminate the issue of deteriorating rubber. I was told one side went in easily but the other sides vertical bushing was very difficult (to get the old bushing out). 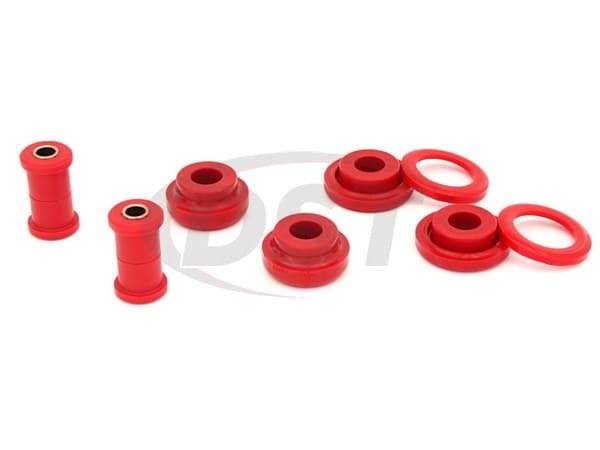 Now, for 99% of my driving, these urethane bushings work great but I get a banging noise when the wheel slowly drops about an inch from my concrete driveway apron to the asphalt street. There's no noise in potholes, just during slow drops of about an inch. For a professional to have trouble with the installation suggests this is not a job for amateurs.